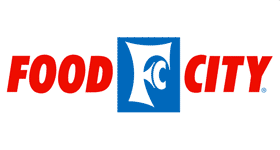 Here are all the deals in the Food City ad starting 4/20. Don’t miss the Mega Savings Event where you can Mix and Match (10) Participating Items Save $5 Instantly, plus check out the Mega Fuel Bucks items for great gas savings and Midnight Madness deals with prices valid 4pm-12am on 4/25. Harvest Club Iceburg Lettuce, 89¢ ea. Harvest Club Bagged Bananas, 49¢ ea.